The game recap for the 2011 Perfect Game All-American Classic presented by Rawlings has been posted here. Congratulations to all of the players that participated in this year's event, as well as the family members, friends and fans that helped make this year's event another ringing success. The box score should be posted at some point on Monday. Overall, we hope you have enjoyed the coverage of this year's Classic. If you have any suggestions, comments or concerns, feel free to email me at pebert@perfectgame.org. Congratulations to Joey Gallo for winning the 2011 Perfect Game All-American Classic presented by Rawlings MVP award. Gallo of course had the big home run, and also drew a walk in this game. Thanks to an outstanding diving stab by third baseman Trey Williams, snaring a rocket off the bat of Carlos Correa, the West secured a 6-2 win over the East. The win allows the West to pull back within a tie in the all-time series at 4-4-1. Congratulations to all of the players that took the field. Stay tuned to this site for more updates, including the game MVP, peak pitching velocities and a game recap. Tonight's official attendance is 7,953. We’ve played five at PETCO, and even though the home team West has built a 6-1 lead thanks to a four-run third, it’s easy to get the feeling nothing has been decided yet. No one is celebrating in the West dugout quite yet, and no one is hanging their head in East dugout. A lot can happen in four innings. Right-hander Ryan Burr from Highland Ranch, Colo., has come out to pitch the sixth for the West. He follows Lucas Giolito, Cody Poteet, Kayden Porter, Max Fried and Austin Fairchild, who limited the East to just one hit. Hard-throwing righty Walker Weickel from Orlando, Fla., will pitch the sixth for the East. He follows Lance McCullers, Lucas Sims, Duane Underwood, Taylore Cherry and Clate Schmidt. A beautiful afternoon in downtown San Diego has turned into a simply delightful night for baseball. According to one educated estimate, there are in excess of 8,700 fans – and more than 100 scouts – in attendance at PETCO. Joey Gallo's solo home run in the the bottom of the 2nd was off of a 93 mph Lucas Sims' fastball. The ball travelled 442 feet, which not only was the longest in the history of the All-American Classic, but was also the 10th longest in the history of PETCO Park. As was certainly to be expected, West fans greatly out-numbered those in attendance pulling for the East. But even the West fans had their favorites. The biggest ovation during pre-game introductions was for hometown boy Corey Oswalt, an infielder who attends James Madison High School in San Diego. His supporters were wearing red t-shirts with Oswalt’s photo on the front and his name and No. 3 on the back. They also hosted homemade signs cheering him on. There were also big cheers for Covina’s Rio Ruiz and West Covina’s C.J. Saylor, both of whom had dozens of friends and family members in attendance. Just as scripted, the first pitch left West starter Lucas Giolito’s hand at 5:08 p.m. sharp. It turns out the Bronx Bomber had some bombs in his bat after all. Nelson Rodriguez, a 6-2, 230-pound slugging catcher/first baseman from New York City, knocked four long home runs out of the San Diego Padres’ PETCO Park late Saturday afternoon, and won the Perfect Game All-American Classic presented by Rawlings Home Run Derby. In Friday’s first round, held at Cunningham Stadium on the University of San Diego campus, Rodriguez failed to hit a home run in his 10 allotted outs. He was added to Saturday’s finals as a wild card entrant. The right-handed hitter smacked all four of his home runs to left field, and two reached PETCO’s short porch in left, more than 400 feet from home plate. Rodriguez said he didn’t feel intimidated by PETCO’s dimensions, which measure in the 320-335 range down the lines, 400 in the power alleys and 396 to straight away center. “I had a little bit of butterflies in my stomach, but after about 5 minutes they went away and it was like it was a normal game,” he said. Kayden Porter, an impressive 6-5, 255-pound right-hander and first baseman from Spanish Fork, Utah, smacked two bombs and finished second in the competition. Nick Williams from LaMarque, Texas, hit one home run. Contestants David Dahl (Birmingham, Ala.), Alex Bregman (Albuquerque, N.M.) and Joey Gallo (Henderson, Nev.) failed to homer Saturday. Here are the starting lineups for each tea. The West will serve as the home team, with both teams going 11 batters deep due to the number of talented hitters in attendance. And here is the order in which the pitchers will appear (subject to change). Close to 60 family members and friends of West Team catcher C.J. Saylor made the 120-mile trip from West Covina, Calif., to PETCO Park to watch C.J. play in Sunday night’s Perfect Game All-American Classic presented by Rawlings, and quickly set up camp in one of PETCO’s parking lots out in front of the downtown stadium. The tailgate party was organized by C.J.’s father, Cameron Saylor, who was inside the stadium watching BP about three hours before game time when I visited the tailgate site. Without being able to talk to Cameron, I sought out Candice Saylor, one of C.J.’s sisters, who was already enjoying a plate full of home-cooked food. Candice said the gathering consisted of family and friends and other people they had met through C.J.’s involvement in baseball. The reason I felt confident calling the food being served “home-cooked” is because a catering van with the business name “The Buckboard Catering Company” on its side was dispensing the table fare. The Buckboard Catering Company is the Saylor’s family business in West Covina. “This is everything straight out of our restaurant, and we do ‘just from scratch’ catering, too,” Candice said. Everyone in the Saylor party seemed to be enjoying themselves and Sunday afternoon’s beautiful San Diego weather. It is an absolutely gorgeous afternoon in downtown San Diego – a cloudless sky and plenty of sunshine pouring down on beautiful PETCO Park, with a light breeze and an air temperature that can’t be more than 75 degrees. The players and coaches participating in tonight’s Perfect Game All-American Classic presented by Rawlings just jogged in from PETCO’s outfield where they had their team pictures taken. The teams will take a little BP and infield here shortly, and the finals of the Rawlings Home Run Derby are slated for 4 p.m. (PDT). I’ve set up shop in a corner of the West Team’s dugout (the Padres home dugout down the first base line) and am eagerly awaiting the Classic’s first pitch at 5:08 p.m. Right now, I’m heading out to the PETCO parking lot to check out reports of a huge tailgate party organized by one of the West player’s family. I’ll report back as necessary. Late Saturday afternoon, about an hour before the Perfect Game All-Americans boarded their team bus to leave the San Diego Marriott Mission Hills hotel and head for the San Diego Hall of Champions and the All-American Classic Awards Banquet, I had the opportunity to spend a few minutes chatting with Trevor Hoffman. Hoffman, an elite right-handed closer, retired after the 2010 season as Major League Baseball’s all-time career saves leader (601). He pitched 18 seasons in the big leagues, 16 of those with the San Diego Padres. Hoffman was named the Honorary Chairman of this year’s Perfect Game All-American Classic presented by Rawlings. He accompanied the 46 All-Americans on visits to Rady’s Children Hospital and the Marine Corps Air Station Miramar in San Diego on Friday, autographed baseballs and addressed the players and their families at the banquet Saturday night. Perfect Game: We saw you in attendance with the players at the children’s hospital and out at the air station Friday afternoon. Are you enjoying the time you’re getting to spend with these young players this weekend? Trevor Hoffman: I’ve had a nice time being part of the Perfect Game (All-American Classic) and seeing how the young kids have kind of interacted with the two events we just spoke about. They’re such integral parts of what “Padre Life” is about; my whole time here in San Diego was rallied around the children’s hospital at Rady’s. Obviously being the “team of the military” that we call ourselves and wearing cammo jerseys on Sunday, having the opportunity to go out to Miramar and some of the other places we go to and the other installations here in San Diego, it was great to see the kids get an opportunity to be around that stuff. PG: Have you always made San Diego your home? TH: I grew up in Anaheim, but as you know, once you sign your name on the dotted line and you go off to play ball, you’re kind of going off to where ever, so home was on the road for a long time. We actually bought our first home in Dallas, then I signed a long-term deal here, and we’ve been here since 1997. PG: Well, it must be kind of cool to be involved in an event like this that’s right here in the city where you live and enjoyed so much success. TH: It’s really a perfect fit – Perfect Game, perfect fit. That being said, being able to go to all the places that are a big part of San Diego baseball, and having the game played at PETCO and the Hall of Champions banquet. It really is – it’s really kind of a perfect fit to be a part of this game. PG: We know you’re not old by any means, but when you were coming of age and playing high school baseball, was there anything like this out there for you? TH: No. The biggest thing for us was getting to go and play somewhere outside our school’s facility like the local park and rec field (laughs). If you had the good fortune of making it to the postseason – and it seems like everybody does now in the CIF – you might get out a little, but as far as these showcase games, there was nothing of that sort. … I graduated high school at 5-4, 140 pounds and I would have never sniffed a game like this. Keeping things in perspective is a big deal; you might be a big fish in a little pond now, and you haven’t faced much adversity and you probably won’t for a little while, and you have to figure out how you’re going to handle that. PG: In your case, then, how were you “discovered,” for lack of a better word? TH: I was lucky in that I had two older brothers that grinded on me a little bit, I grew the following summer out of high school and went to the local JC, and that helped me get into the University of Arizona. I kept things alive by keeping my grades up so I could participate in baseball, and I kept going and kept learning about the game, and it kept my dream alive, really. I kept grinding it out, and after you knock down so many doors, sooner or later good things happen. It has been determined that Alex Bregman, Joey Gallo and Nelson Rodriguez have been selected as the wild cards (three instead of just two as indicated yesterday), and will join David Dahl, Kayden Porter and Nick Williams in the final round of the home run derby at PETCO Park set to begin at 4:00 PM PDT. Those involved with the Perfect Game All-American Classic presented by Rawlings have enough people in San Diego telling them where to be at what time for which event. And while we at Perfect Game have done our best to tell those that aren't able to be a part of the event live and in person, here is one last reminder of how you can be a part of this year's Classic. 4:00 PM PDT: The Perfect Game All-American Classic presented by Rawlings Selection Show. One hour prior to game-time, CBS Sports will replay the show in which the players participating in this event were publicly announced. Originally aired on July 13, CBS Sports' Brent Stover and Perfect Game's David Rawnsley break down the 46-man roster. 5:00 PM PDT: The Perfect Game All-American Classic presented by Rawlings. Gametime. As wonderful and important as all of the events leading up to the game have been, the 46 players, coaches, family members, friends, personnel, scouts and fans will be on hand to witness the best players from the class of 2012 take the field. Perfect Game's David Rawnsley joins play-by-play announcer Daron Sutton (son of Hall of Fame pitcher Don Sutton) in the booth for the live, televised broadcast (again on CBS Sports). I received an email earlier this weekend from a concerned fan that the events would not be available for viewers that don't have DirecTV. I need to emphasize that the only reason DirecTV was brought up (channel 613) is because that it is the only carrier in which the channel will be the same for any viewer with that satellite service wishing to watch the event. The Classic does not have an exclusive deal with DirecTV, as anyone that has access to CBS Sports, whether it be satellite or cable television, will be able to watch the game from the comforts of their own home. And of course, stay tuned to this site, PGAllAmerican.com, and the event's Twitter and Facebook feeds as linked above, for game updates. Lance McCullers, a flame-throwing right-handed pitcher, consistent offensive threat from the left side of the plate and a slick fielding, strong-armed infielder, has been named the recipient of the 2011 Jackie Robinson Award as the nation’s top high school prospect in the class of 2012. McCullers, who will enter his senior year at Jesuit High School in Tampa, Fla., this fall, received the award Saturday night at the Perfect Game All-American Classic presented by Rawlings Awards Banquet held at the San Diego Hall of Champions. The prestigious award capped a year in which McCullers has been ranked the nation’s No. 1 top prospect in his graduating class (2012) since the beginning of his junior year. 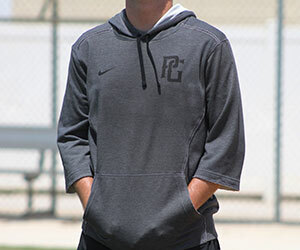 He lived up to the high ranking by hitting .422 with seven home runs and 24 RBI during his junior season at Jesuit, and used a fastball consistently clocked in the high 90s – and reportedly gunned at 100 mph at the recently completed East Coast Pro Showcase – to finish with 79 strikeouts in 52 innings pitched with a 2.02 ERA. Giolito was named the Baseball American Pitching Prospect of the Year; Gallo received the Reebok Offensive Player of the Year; Clate Schmidt (Acworth, Ga.) took home the Nick Adenhart Award; Alex Bregman (Albuquerque, N.M.) won the Evoshield SWAG Award; and Carlos Correa (Santa Isabel, P.R.) 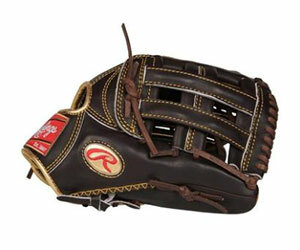 won the Rawlings Defensive Player of the Year Award. Before any awards were handed out, MLB career saves leader and future Hall of Famer Trevor Hoffman, the PG All-American Classic Honorary Chairman, briefly addressed the young prospects in attendance. “I really appreciate the opportunity to gather with you guys and celebrate the great talents in this room,” he said, as he continued to talk about San Diego Padre Hall of Famer Tony Gwynn. McCullers is the eighth player to receive the Jackie Robinson Award, joining the company of Justin Upton and Bryce Harper. Like all the other players who received the honor before him and like all the other young players who were with him Saturday night, McCullers can’t afford to think small. Two-way star Lance McCullers, son of the former big-leaguer of the same name, was awarded with the Jackie Robinson Player of the Year award at tonight's awards dinner and banquet. McCullers shines on both the mound and at the plate, with a rare combination of a power arm and a powerful bat. He can flirt with triple digits with his fastball, routinely sitting in the 94-96 range, hitting 98 multiple times at the Perfect Game National Showcase in Fort Myers in mid-June. He also can spin a power breaking ball and a polished changeup, giving him incredible upside on the mound. In addition to his pitching prowess, he set the record at a Perfect Game event with his 98 mph throw across the infield, and continually shows incredible power potential at the plate as a left-handed hitter. As Jeff Dahn noted in a previous story listed below as part of the All-Americans visit to the Rady Children's Hospital, McCullers also invests a considerable amount of time into community service. Congratulations to all of the award winners, all 46 players in attendance, as well as the family members that took part in tonight's banquet. With nearly three full days full of on and off-the-field activities in the books, the Perfect Game All-Americans, as well as their family members and other event personnel, have assembled at the San Diego Hall of Champions for the annual Awards Dinner. While several notable awards (Pitcher of the Year, PG Nick Adenhart, SWAG, Reebok Offensive Player of the Year, Rawlings Defensive Player) will be handed out to deserving participants, the Jackie Robinson Player of the Year Award is the most coveted. Past award winners include two eventual first overall picks in the MLB Draft: Justin Upton (2004 award recipient, 2005 draft) and Bryce Harper (2009/2010). Upton has already been named to two Major League All-Star teams playing for the Arizona Diamondbacks, whereas Harper, at 18 years of age, is already at the AA level in the minor leagues of the Washington Nationals system. The eight finalists for this year's award have already been determined: Taylor Cherry, Joey Gallo, Lucas Giolito, C.J. Hinojosa, Lance McCullers, Duane Underwood, Nick Williams and Trey Williams. Stayed tuned to PGAllAmerican.com and this blog to learn of all of the award recipients. Since 2004, Perfect Game has conducted an event in conjunction with the Perfect Game All-American Classic presented by Rawlings to showcase some of the top players that won't be draft eligible until at least two years from the time of the event. 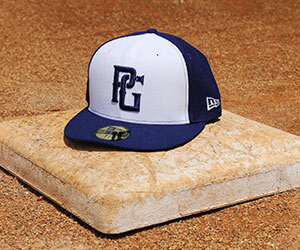 The 2011 PG National Games, formerly known as the PG at Aflac event, was conducted on Thursday and Friday, with the final two games being played on Friday afternoon at Cunningham Stadium after the Perfect Game All-Americans finished up their scrimmage. Several players that have attended this event have gone on to participate in the Classic in subsequent years, including 2010 game MVP Tyler Marlette, 2010 first overall pick Bryce Harper and 2011 SEC Player of the Year Mike Zunino. David Rawnsley, who will be providing valuable insight from the booth during the televised broadcast on CBS Sports, came up with how he viewed the top 25 prospects from this year's event. This may serve as a nice preview for some of the players that may grace the 2012 (and beyond) Perfect Game All-American Classic presented by Rawlings roster. The Perfect Game All-Americans took the field on Friday morning and enjoyed a light, laid-back practice leading up to the first round of the home run derby. They players were clearly excited to have the opportunity to show off their power. Prior to the start of the home run derby, several hitters took BP to prepare their swings for the competition. Nick Williams and Joey Gallo quickly got those in attendance to perk up hitting bombs off of the roof of the building past the right field wall as part of the campus for the University of San Diego. Kayden Porter, a promising right-handed pitcher that also excels at the plate, had arguably the most impressive round of BP, hitting almost everything out, with most of those shots leaving the ballpark by a wide margin. Courtney Hawkins was showing off his impressive bat speed by drilling several balls over the fence in straight-away centerfield. Skye Bolt, Chris Harvey, Nelson Rodriguez, Addison Russell, Jesse Winker and Jameis Winston were unable to record a home run. All players are given the opportunity to take part of the derby competition, as primary pitchers (although most of which also have promise as hitters) Matthew Crownover, Carson Fulmer, Clate Schmidt, Tucker Simpson, Lucas Sims, Duane Underwood, and Walker Weickel all participated but were unable to put their names on the board. Steven Golden, Andrew Pullin, Tanner Rahier, Daniel Robertson and C.J. Saylor were among the West positional prospects that didn't hit a home run. Max Fried, Mitchell Traver and Hunter Virant were among the primary pitchers that also were unable to hit one out. Porter and Nick Williams, along with David Dahl, who led all hitters in the first round of the derby, move onto the finals which will be conducted tomorrow afternoon at PETCO Park at 4:00 pm PDT, one hour prior to gametime. Two wild cards, to be determined by the Perfect Game staff, will also be asked to participate in the final round. Once those two players have been determined, we will be sure to share those names within this blog. 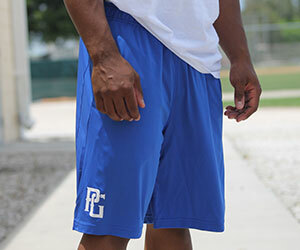 During one light-hearted moment during Friday morning’s Perfect Game All-American Classic presented by Rawlings practice session, West Team PG All-American outfielder Nick Williams came running into the dugout, laughing all the way. Really? This hard-throwing, seemingly serious-minded, even scholarly foursome who have all committed to Coach John Savage at UCLA are just a bunch of laid-back, Southern California surfer-dudes that are quick with a joke? I decided to ask left-handers Max Fried from Van Nuys and Hunter Virant from Camarillo, and right-handers Lucas Giolito from Santa Monica and Cody Poteet from Bonita about it before Saturday morning’s practice session at Cunningham Stadium at the University of San Diego. None of the four pitchers – all ranked among the top 33 national prospects in their class – knew each other particularly well when they made their commitments to UCLA, but they’re getting to know each other pretty well now. While warming up before the start of Saturday’s practice, the foursome was secluded in right-field for a session of long-toss. And they’re not spending all their time in seclusion. “I’m having a great time. Anytime you get to play with all the best players from around the country, what’s not like about it?” Fried said. But again, what about this new-found reputation as team comedians? “I would say that this group right here, we’re a little loose,” said Giolito, the nation’s No. 2-ranked overall prospect in 2012. “We are a bunch of little comedians, I guess. Hunter’s a funny kid, Cody is hilarious – I’m not so much myself but I think it’s even rubbed off on me a little bit. Former MLB three-time All-Star Tommy John has maintained a constant presence at all the activities surrounding the Perfect Game All-American Classic presented by Rawlings, and appears to be having a great time. Before the PG All-Americans began a two-hour practice session Saturday morning at Cunningham Stadium at the University of San Diego, John was spotted in the outfield talking to a small group of young pitchers, and it got me wondering what kind of sage wisdom the crafty left-hander was passing on to the prospects. “We were just talking about Tommy John surgery and we were talking about (the possibility of) Florida State and Clemson going into the SEC, just stuff like that,” John told me shortly after signing some autographs for some older fans in the stands. John, who is 68 years old, won 288 games during a long 26-year big league career, but is best known for being the first athlete to undergo an elbow ligament surgical procedure that bears his name. The young prospects at Cunningham Saturday morning may not be aware of what John accomplished during his playing career but they probably know someone who has underwent the procedure. There is a definite connect between John and the youngsters. John finds the talent level of these All-Americans particularly impressive. There are as many as 20 pitchers on the two All-American Classic rosters who can unleash their fastballs at better than 90 mph, and several who reach the mid- and even upper-90s. John said velocities weren’t recorded when he was in high school in Terre Haute, Ind., in the late 50s. The nation’s top prospects that are here in San Diego this weekend for Sunday’s Perfect Game All-American Classic presented by Rawlings enjoyed one of the most enlightening days in the nine-year history of the event on Friday. Baseball in the morning, lunch at a former Cy Young Award winner’s restaurant over the noon hour, and afternoon visits to Rady’s Children Hospital and Marine Corps Air Station Miramar. The final stop was the Air Station, a visit organized by retired Marine Corps Colonel Dwight Schmidt – he remains active in the Marine Corps reserves and is a pilot for Delta Air Lines – who is the father of Perfect Game All-American Clate Schmidt. Colonel Schmidt was at Miramar in his fatigues Friday afternoon, and offered the visiting ballplayers a rousing welcome to the air base. While almost everyone else split into groups for a tour of the various aircraft and the control tower at the base, I chose to follow a select group led by the Schmidts. I was in the company of Dwight Schmidt, Clate Schmidt, his fellow PG All-Americans Carson Fulmer and Andrew Pullin, Perfect Game director of business affairs Betty Ford, Sherry Glasscock, an important cog in the Blue Ridge Sports & Entertainment operation, and Clark Schmidt, Clate’s 15-year-old brother. We were off to the base’s F-18 flight simulator. Everyone who made the trip down to the simulator was given the opportunity to fly the F-18, land on and take off from an aircraft carrier, do 360-degree rolls and fire missiles. I was given the opportunity but declined, deciding instead to observe the operation with an unbiased eye. Everyone had a blast, but no one more so than the two women. They gushed about the experience for a good hour after they had climbed out of the “cockpit.” That’s not to say the All-American ballplayers didn’t enjoy it as well. “It’s kind of weird, man, it really is,” Fulmer said, adding he did feel a sense of control. “Especially when you had a target on something and you pushed the throttle – it was cool, it really was. Dwight Schmidt organized the trip to Miramar after Clate was selected for the game. He thought it was important the young players got a glimpse of the Marines who are only a year or two older and who are flying war planes and helicopters, servicing them and guiding them home safely. “These guys have a great chance, especially where they’re going in their lives … but when these guys make it to the big leagues, if they ever sit back and think, ‘You know, there’s a reason people go to the USO and meet a Marine’ or they meet somebody that serves our country, it’s a great chance for them to reach out and say they know what other people do for us so we can play this wonderful game,” Dwight said. Initially, the young wheelchair-bound patient was reluctant to smile. Truth be told, the youngster seemed frightened, even on the verge of tears. Enter Perfect Game All-American Carlos Correa, a top shortstop prospect out of Puerto Rico who is all of 16-years-old himself, but shows a level of maturity far beyond those 16 years. Correa spent the early part of Friday afternoon at the Rady Children’s Hospital in San Diego, along with the other 45 players and six coaches in town for Sunday’s Perfect Game All-American Classic presented by Rawlings. Proceeds from the Classic benefit Rady’s. The players were given a tour of the hospital’s new cancer wing and were given the opportunity to meet and interact with several young patients at new outdoor patio area/playground. One of the first youngsters brought out was a boy of about 5, in a wheelchair, who was accompanied by his mother. Neither mother nor son spoke English. Correa approached the young patient, and using Spanish tried to engage him in conversation and provoke a smile. He wasn’t making much progress until a ball and bat appeared. The youngster was soon smacking balls tossed to him by Correa – New York City’s Nelson Rodriguez soon joined the party – and after a while, the kid’s eyes were bright and he was clearly smiling. They figured it out early Friday afternoon. Right-hander/infielder Lance McCullers, the nation’s top-ranked prospect in 2012, was like all the other players in outwardly showing how much they enjoyed making this appearance. McCullers has done a lot of community service work while attending Jesuit High School in Tampa, and took to the kids with an experienced flair. He played catch, threw pitches to youngsters with oversized inflated bats and even sat down at a table and did some painting with a young patient who was hooked up to numerous IVs. “You don’t really realize how blessed you are and how fortunate you are until you come in and you see people in other situations,” McCullers said. “For me to be able to be out here with these little kids, painting with them, playing baseball with them, it adds a different feel to the trip. The smiles on the faces of the young patients were matched only by the smiles on the faces of the young prospects who will display their considerable talent in front of a national television audience on Sunday (5 p.m. PDT, CBS Sports Network). They’ll never forget Friday’s visit to Rady’s. “This is a great experience. Seeing those kids having fun and smiling, it’s amazing,” Correa said. This is strictly a personal note, but one of Friday’s highlights for me was our lunch of outstanding barbecue pork and chicken at the Randy Jones All-American Sports Grill, which followed a morning practice session and scrimmage at the University of San Diego. It was a special lunch for me because I got to sit at the same table with former MLB stars Tommy John – of elbow surgery fame – and the restaurant’s owner, Randy Jones, who won the 1976 National League Cy Young Award while pitching for the San Diego Padres. The two told stories about similar experiences and mutual friends and teammates, and laughed easily. It was a real treat for a fan in his mid-50s who used to greatly value each of those left-handers’ Strat-O-Matic cards. If you have to ask about Strat-O-Matic, don’t bother. As noted below, Mitchell Traver took the mound for the West team in the first inning of the five inning scrimmage. Traver was 88-91 with a nasty 81 slider and also showed an 84 mph changeup. Third baseman Rio Ruiz helped Traver by making a nice diving stop of a line drive off the bat of Duane Underwood. Lefty Matthew Crownover took the mound for the East in the first inning and made quick work of the West with a crisp 1-2-3 inning. Crownover struck out two batters using a 88-90 fastball, a mid-70s curve and an upper-70s changeup showing his usual mastery of the strikezone. Alex Bregman continues to establish himself as one of the best hitters in the 2012 class by hitting a rope straight at the shortstop that was clocked at 96 mph off the bat. Ryan McNeil was up next for the West, throwing 88-91 with a 75 mph curveball. Josh Henderson hit a bloop single to left off of McNeil, but was quickly retired when catcher C.J. Saylor threw out Henderson on a stolen base attempt with a rocket of a throw. Saylor wasn't done with just one caught stealing, as he also gunned down Jesse Winker, who reached base via a base on balls. Right-hander Walker Weickel tossed the second inning for the East, throwing what was described by David Rawnsley as a "typical easy Weickel inning." He was 89-91 with a big, slow 71 curve. Corey Seager made a nice throw across the infield in the inning to retire Nick Williams. Two-way talent Courtney Hawkins was up next, working the top of the third for the West. As impressive as Hawkins bat was earlier in the day during batting practice, he also shows easy arm strength, working at 88-90 with a sharp 75 mph curve while also flashing a change. The first run of the scrimmage came after Carlos Correa reach on an error, advanced to second on a passed ball and scored on a single by Seager. As Hawkins continues to improve at the plate, Duane Underwood continues to establish himself as one of the top rising right-handers in the 2012 class. He throws incredibly easy, touching 95 in the scrimmage while sitting at 93-94 with a 76 mph curveball and a low-80s changeup. Andrew Pullin, primarily an outfielder, fooled the East hitters in the top of the fourth with a big, slow tantalizing curveball. He showed good arm strength as well, topping out at 88. Also a primary outfielder, Skye Bolt stepped to the mound for the bottom of the fourth, although didn't fare as well as Pullin. Hawkins and Steven Golden both had an RBI single as the West jumped ahead of the East, 2-1. The East re-claimed the lead in the top of the fifth. After an error and a wild pitch, with Rio Ruiz on the mound, Jesse Winker hit a booming double high off the top of the batters eye in centerfield to put his team back on top 3-2. Ruiz, another talented two-way prospect, was 88-90 with a 76 curve. Primary infielder Corey Oswalt finished off the game pitching for the East team in the bottom of the fifth. He showed very good arm strength, running his fastball up to 88-90 with a very sharp 77 curveball. Addison Russell made a handful of plays at third base and has looked solid at the position. The bus ride from the hotel to the University of San Diego took a little longer than anticipated after we encountered the periphery of a long, formal funeral procession that forced the closure of long stretches of streets and interstate highway. The procession was for a fallen San Diego police officer who was shot and killed while on patrol earlier in the week. Hundreds of law enforcement officers, other public servants and California Governor Jerry Brown were part of the procession, and thousands of mourners lined streets and overpasses. Once we arrived at Cunningham Stadium only about 15 minutes behind schedule, the sun was burning through the early morning clouds and the players from the East and West teams on hand for the Perfect Game All-American Classic presented by Rawlings prepared to practice and scrimmage. The prospects, already exhibiting team bonding within their own squads, took infield and batting practice, and then played a short five inning scrimmage. More than 100 scouts and coaches filled the steep bleachers behind home plate. One of the last groups to take batting practice came from the East Team and included standout hitters Keon Barnum from Temple Terrace, Fla., Jesse Winker from Windermere, Fla., Nelson Rodriguez from New York City and Addison Russell from Pace, Fla. The foursome took their whacks and basically pounded the ball in their short BP session, but it was the temperate southern California weather that seemed to most impress Russell. There was more to like, of course. The Perfect Game All-Americans took the field on Friday morning with the usual round of infield and outfield drills to kick off the day's activities before stepping into the batter's box. David Dahl showed the best arm from the outfield, not surprising considering he threw 95 from the outfield two months ago at the Perfect Game National Showcase. Also not surprising was how slick Carlos Correa looked taking infield. At 6-foot-4 and 190 pounds, he's built like a modern day shortstop, and moves extremely well to both sides showing good quickness, soft hands and a strong, accurate arm. The West team took their swings in BP first, with an incredible collection of offensive talent. Nick Williams was hitting bombs in the first round. Alex Bregman, who put on a power display during the home run derby at the Perfect Game National, continues to hit everything extremely hard. Like Bregman, Jason Goldstein also squares up everything extremely well lacing line drives while hitting the ball consistently hard. Courtney Hawkins continues to build on his promise, with a very impressive round of BP. Tanner Rahier has easy power and bat speed. Speedster Steven Golden showed some pull power. C.J. Hinojosa looks like a professional hitter every time he takes the plate, and once again looked impressive during his round of BP. Trey Williams hit a blast to the side of the scoreboard at Cunningham Field. Joey Gallo just missed clearing the net in right field as he continues to show his incredible power potential. The East was up next, with Lance McCullers showing that the power in his left-handed swing matches his powerful right arm. Rhett Wiseman hit three straight off the screen in right. Carlos Correa proved that there is much more to his game than just his glove by hitting a bomb to straight-away center. Keon Barnum is one of the best BP hitters there is, and looks like a man among boys even amidst this group of players. The team scrimmage is up next, scheduled to go five innings. Right-hander Mitchell Traver has taken the mound to open the game, with a few primary pitchers scheduled to toss one inning each. The players, coaches and few other stragglers here for the Perfect Game All-American Classic presented by Rawlings gathered for a sit-down breakfast in a conference room at the San Diego Marriott Mission Hills hotel early Friday morning. Everyone was getting their fill from an impressive spread of breakfast fare, when I finally got an opportunity to walk over to the table where the teams’ coaches were seated, including head coaches Stuart Chester and Andrew Nieto, and assistants Kevin Maris, Omar Washington, Cecil Espy and Manny Hermosillo. When I told them I hoped to be able to ride with them and the players on the team bus as they made their rounds over the next three days, Omar shook his head, apologetically. Washington was joking, of course, and after spending about five minutes chatting with Nieto, I knew the last thing I was going to be was ruined by my associating with these men. Nieto served on Mike Gillespie’s coaching staff at USC for 10 years and is now coaching at Bishop Amat High School in La Puente, Calif. Rio Ruiz, one of Nieto’s players at Bishop Amat, is a member of the All-American Classic West Team. Nieto said that as recently as six or seven years ago, the early commitments were few and far between. Because so many of the players have already committed and due to budget restraints, some college coaches may not make the trip, but the MLB scouts will be out in force. “Anytime that you can get exposure on the national level and a professional level, and most importantly to be able to play against the best people in the country, it’s beneficial,” Nieto said. “Since (the Classic’s) inception – and this is its ninth year – there have been 98 first-rounders. Shortly Nieto and I spoke, we all boarded the bus and headed for the University of San Diego’s Cunningham Stadium for a practice session and scrimmage. He got not argument from anyone on the bus. After a day spent getting acclimated to their new hotel home for the next four days, the top prospects invited to play in Sunday’s Perfect Game All-American Classic presented by Rawlings were treated to a scrumptious Welcome Dinner and brief orientation Thursday night at the San Diego Marriott Mission Valley hotel. The players partook in a buffet-style dinner that included roasted steak, chicken and fish, rice, red potatoes, mixed vegetables and carrot cake, then heard presentations from Blue Ridge Sports & Entertainment President David Gardiner, San Diego Hall of Champions Communications & Strategic Planning Director Jesse Lovejoy and Perfect Game President Jerry Ford. The young prospects and their coaches listened intently when Ford was at the podium. He spoke of the success achieved by some of the event’s alumni - this is the All-American Classic’s ninth year – and also about Rady Children’s Hospital, which receives the event’s proceeds. The players will visit Rady and its young cancer patients Friday afternoon, and will also tour the Miramar Marine Corps Air Base. Ford spoke of the number of first round MLB draft picks who are All-American Classic alumni (98) and the number who have reached the big leagues (42). Be sure to come back often on Friday for more updates on the players and their experiences at the Perfect Game All-American Classic presented by Rawlings. They were the first to check in for this weekend’s Perfect Game All-American Classic presented by Rawlings, and they made out like bandits. Top prospects Corey Seager from Kannapolis, N.C.; Andrew Pullin from Centralia, Wash.; Courtney Hawkins from Corpus Crispi, Texas; Lance McCullers from Tampa, Fla., and Nick Williams from LaMarque, Texas all entered the various meeting rooms at the San Diego Marriott Mission Valley hotel within about a half-hour of one another Thursday morning. They autographed posters and bats, tried on their game uniforms, got their pictures taken for use on a line of Perfect Game All-American Classic baseball cards that Topps in producing, and then made their way to Evoshield’s large hospitality room where they received shoes, spikes, equipment bags and other apparel items. You couldn’t have wiped the smile off of Hawkins’ face with a room full of Handi-Wipes. “It’s always fun getting new stuff. This is like Christmas,” he said, grinning broadly. The players were obviously enjoying the starting point of what promises to be three more days spent creating lifelong memories. And this wasn’t a case of the early bird catching the worm – the other 41 PG All-Americans who followed the first five to the registration table got the same royal treatment. Thursday was all about getting the 46 top prospects who make up the 2011 Perfect Game All-American Classic presented by Rawlings rosters into San Diego and settled into their hotel rooms. 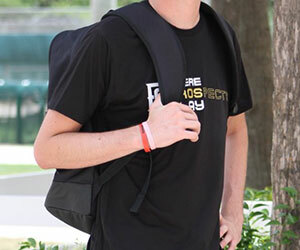 Many of the players were arriving from Long Beach, where they had just finished playing in the Area Code Games. There was a casual boxed lunch for players and coaches scheduled from noon through 5 p.m. on Thursday and a welcome dinner and orientation slated for 6:30 Thursday night. The players seemed to enjoy getting their photos taken by the Topps photographer as much as they enjoyed receiving their permissible gifts. A couple of them, like Seager and Hawkins, already have player cards from being involved with USA Baseball. The experience was a first for Pullin. “It’s really different, I’ve never had it done before, but it’s cool,” Pullin said. On Friday, the players will leave the friendly confines of the Marriott and travel to the University of San Diego to practice and scrimmage, and then will make visits to the Rady Children’s Hospital and Miramar Marine Air Base. To a man, the players said Thursday morning they intended to make the most of the next four days. The word “fun” seemed to pop up a lot. “I know some of (the other prospects) and I’m hoping to meet them all and make some lifelong friends,” Seager said. Hawkins, still flashing that smile, summed it up perfectly. Welcome to the Perfect Game All-American Classic presented by Rawlings blog, and congratulations to all of the players, friends and family members involved with the Classic. As the lead-in notes, this page will be used to provide updates from all of the events that are part of the four-day festivities. Be sure to visit the Media Room page to read past features where many of the players have been profiled. Perfect Game Feature Writer Jeff Dahn and myself also provided stories on other All-Americans not found in the media room, including Albert Almora, Keon Barnum, Taylore Cherry, Carlos Correa, Joey Gallo, Josh Henderson, Lance McCullers, Kayden Porter, Clate Schmidt, Matthew Smoral, Walker Weickel, Nick Williams, Trey Williams, Jesse Winker, and Jameis Winston from the Perfect Game National Showcase in mid-June. Visit the Roster page to access the individual player profiles, as well as the History page to learn more about the previous eight games played since the inaugural event in 2003. And of course, don't forget to tune into CBS Sports (channel 613 for DirecTV subscribers) at 5 pm PDT on Sunday for the game itself. You can also listen to the game online on ESPN Radio 1700 San Diego, and for those that missed the selection show that was originally aired on July 13, CBS Sports will be airing a re-broadcast of that one hour prior to the beginning of the game.